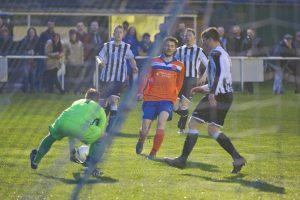 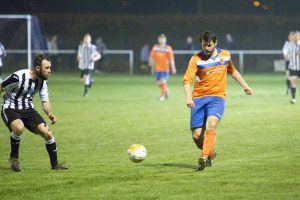 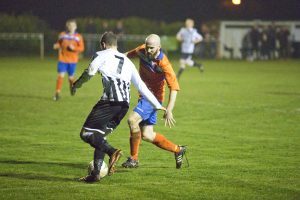 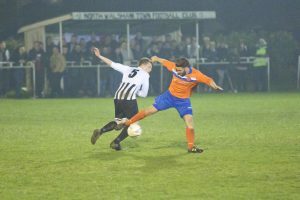 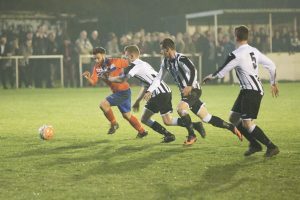 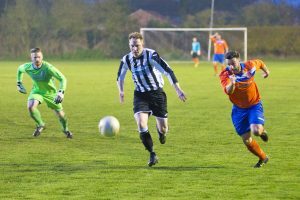 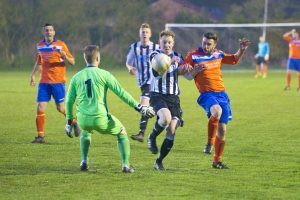 Last night in front of a huge crowd North Walsham ran out 3-1 winners against Aylsham. 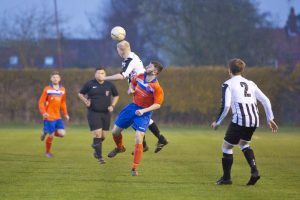 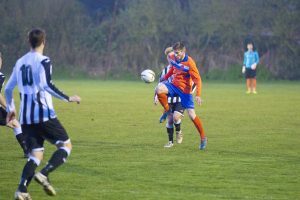 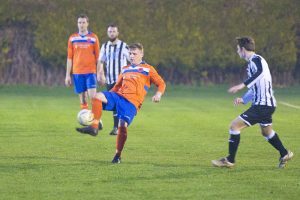 The Angels were in control for most of the game with their pacey wingers causing problems to the Aylsham back four, once they got ahead Aylsham were always facing an uphill battle, one that became even harder after they received two red cards. 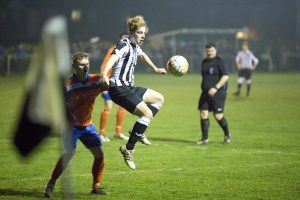 Angels chairman Alex Brady said, “What a win last night for North Walsham. 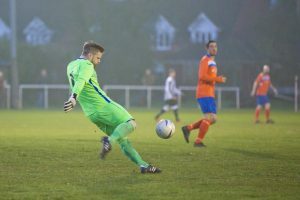 From the first minute to the 90th, every single member of the management team and playing staff battled and fought to ensure the 3 points stayed at Greens Road, with the goals coming from Matty Downing (2) and Liam Clarke. 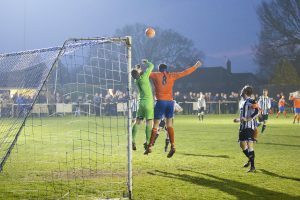 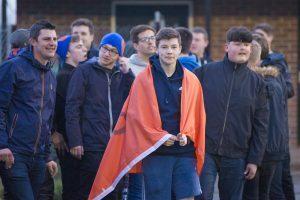 Credit has to go to Aylsham for bringing over 100 fans, and with the overall crowd in excess of 300 it was a brilliant occasion with lots of friendly banter between the two sets of fans. 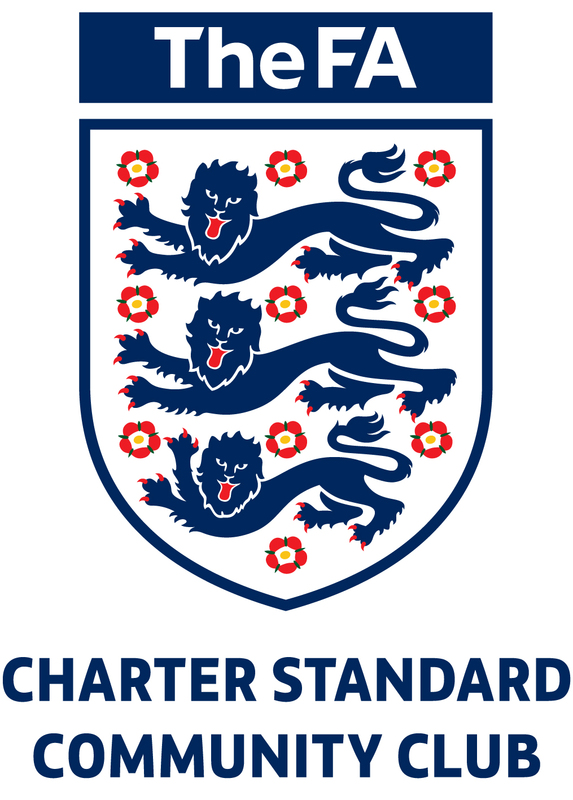 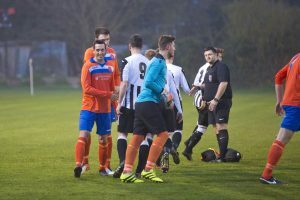 A special mention has to go to the referee for controlling the game well in the tough conditions – and he certainly played his part in a very entertaining game. 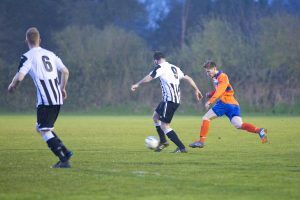 This entry was posted in Men's First Team on April 3, 2017 by Lee Todd.